A Midlands housebuilder has been commended by the local council after winning a prestigious design award for its work at a major Bicester development. 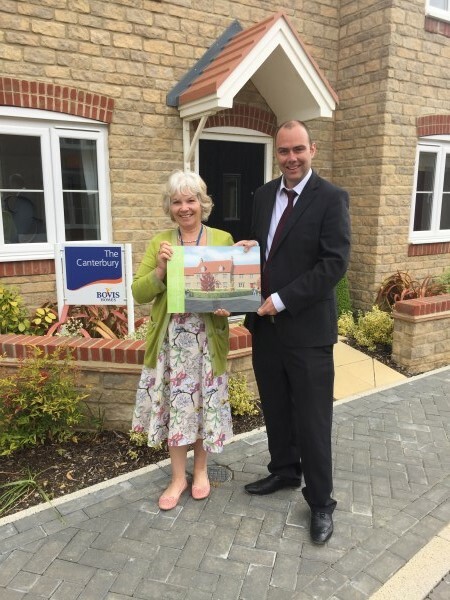 Bovis Homes Central region has received the coveted 'Built for Life 12' award for the new phase of their Kingsmere location, after working closely with Cherwell District Council to plan this exciting new part of the community. Cherwell District Council's lead member for planning, Cllr Michael Gibbard, said: "Cherwell has worked with Bovis Homes on South West Bicester to create an attractive, functional and sustainable development. "Coupled with that we have worked with them on the design code, which sets out the key issues to be addressed by developers and architects on the types of character areas being created. Congratulations to Bovis Homes for achieving the Built for Life 12 Quality Kite Mark." For Bovis Homes, Design and Planning Manager David Laight, said: "The award recognises that this new part of the Oxfordshire community will be a great place to live - well designed and sustainable - so anyone who moves in here at Kingsmere knows that they are coming to a place where their quality of life has been central to the design process." Built for Life is a design quality initiative sponsored by the Home Builders Federation, Design for Homes, the Design Council and the Commission for Architecture and the Built Environment.